In MaxScheduler most scheduling actions are done using your mouse. Also there are no enforced business rules to fight against. Scheduling system that is always up to date. This means everyone in your organization can log in and check the schedule themselves. Reduces the need for phone calls, emails, chasing people down, etc. Great for sales people who are on the road, customer service, management, etc. Many organizations default to using spreadsheets to track business activities. Spreadsheets can be fragile, they are difficult to share and they can't easily make a graphical schedule. MaxSchedulerWeb is built for scheduling and scheduling only. MaxScheduler can work with other software system(s) that you are using to run your business. Types of systems would be ERP, MRP, MIS, Job Shop, Accounting, spreadsheets etc. "MaxScheduler was the most natural fit, based on other scheduling systems we reviewed. There is no way possible we could respond to multiple customer requests daily." MaxScheduler can be used by the following manufacturing businesses: print shops, jobs shops, make to order, make to inventory, plastic injection, wire harnesses, CNC shops, metal plating factories, tool and die, aggregate, cement, machine repair, t-shirt printing, etc. The main screen in MaxScheduler shows a schedule in the top portion and a List view in the bottom. The List view shows jobs to be scheduled. 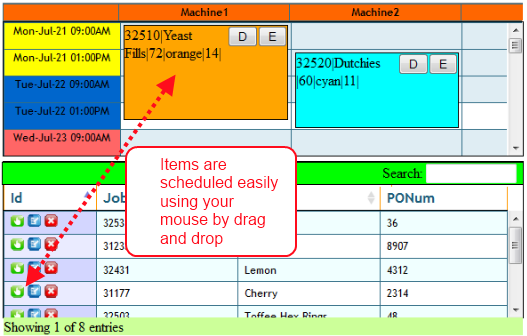 Jobs are scheduled by using your mouse to drag jobs from the List view to their position on the schedule. planng software creates a graphical schedule. With a quick look you can get an intuitive feel for how your operations are going and see opportunities to make improvements. A graphical schedule reveals these details much better than jobs listed in a spreadsheet. 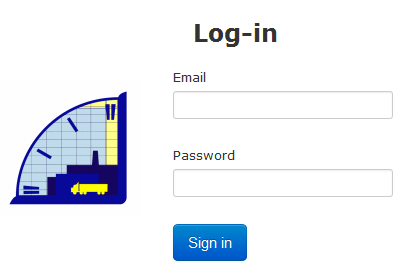 The schedule for your business is protected by a log in screen. There are three types of MaxScheduler users: Schedulers, Editors and Viewers. Schedulers can be make any change to a schedule. Editors can only make changes to the job details. Viewers can only see the schedule, not make changes. The idea is that Editors can be shop floor workers who can make updates on jobs, but aren't allowed to modify job start times. Jobs to be scheduled are shown in the List View. 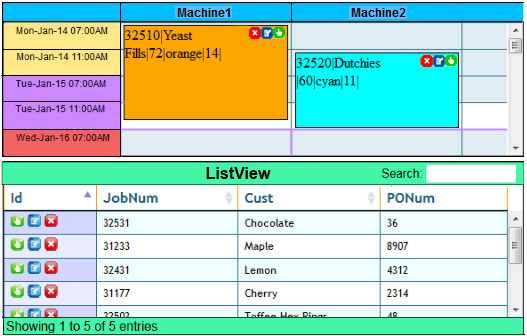 The List View has features like Excel: Column sorting and data searching. There is a overall job status screen that lets you search and see all job details. For example check if the job is currently scheduled or not.